Prakash is a desperate guy, who wants to earn money and settle down in live. He works as a model for an old city Sherwani firm. 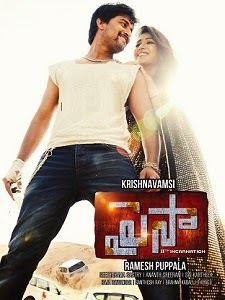 A Muslim girl named Noor (Catherine Tresa) falls for him at first site. But Prakash is after Sweety (Siddhika Sharma) for some financial gains. He lands in a big problem, when finds Rs 50 crore (Hawala money) in the trunk of his car. Who the Money belongs to? How the money came in his car? What does Prakash do with it? Will Prakash marry Noor? Answers to all these questions will form the crux of the story. Krishna Vamsi directing this movie under Ramesh Puppala production banner. Sai Karthik scored music for this movie.